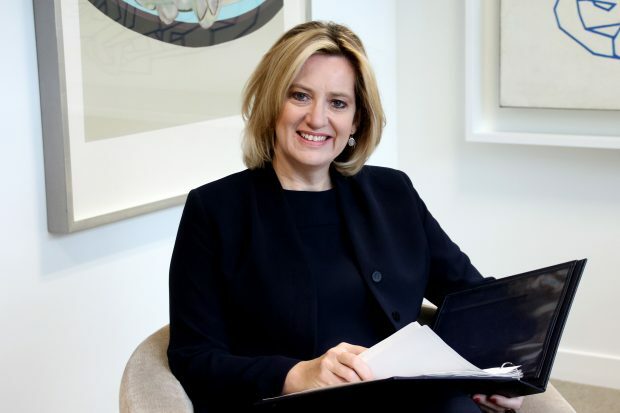 Today, the Home Secretary has revealed that her father became a victim of a type of fraud known as a 'vishing' scam and why tackling fraud is so important to her. This was reported in the Evening Standard. Fraud is now the most common crime in the UK with one in seventeen people falling victim to scams. The costs of fraud are huge, amounting to an estimated £255 per household per year. As this paper has shown through countless stories, the costs aren’t just financial, they are emotional too. Being the victim of fraud can feel traumatic and embarrassing too. I know this only too well as my late father was a victim of fraud. A few hours later they arrived, persuaded him to take his credit card, get in a car with them (with his carer as he was blind), go to a shop and purchase an expensive watch “to flush out the fraudsters.” He was asked to hand over the watch to the “police officers” who then disappeared. It was a con. He hadn’t been speaking to bank staff, he’d been speaking to fraudsters all along. It took a while for the penny to drop and he was naturally mortified. He laid low feeling humiliated and embarrassed. When you’re in a con, you see what the fraudsters want you to see. My father is not alone. Last week I met Karen Mackie who was another victim to a ‘vishing’ scam. Fraudsters pretended to be from her bank and claimed her business bank accounts were at risk. They convinced her to transfer over £700,000 into a “safe” holding account, and then the money was gone. Karen lost her business and was able to recover less than half the money stolen. It’s not right and it’s not fair that there is money going into the pockets of criminals or supporting the luxury lifestyles of the criminal at the expense of the vulnerable. And it is not just fraud – bribes, corruption and money laundering also cost the country billions every year and allow ruthless gangs to exploit the vulnerable and profit from their vile crimes. That’s why as a Government, we’re taking action. I will chair the first Ministerial Economic Crime Board early in the New Year to take personal charge of tackling these issues I feel so strongly about. I am also pleased to announce today that we will be creating a new National Economic Crime Centre within the National Crime Agency to plan and coordinate the national law enforcement response to economic crime and increase overall investigative capabilities. Today we are also publishing the UK’s first Anti-Corruption Strategy. We will also continue to target criminals who fraudulently use other people’s bank details. For example, we are working to introduce cards where the numbers change to stop criminals from being able to use stolen card data. I want as few families as possible to experience what my father went through which is why these actions and my wider economic crime reform programme announced today will allow us to tackle financial criminals head on like never before. Be in no doubt, we are coming for you.